TwitchFilm points out these two posters for Korean monster movie D-War. That stands for dragon war, in case you were wondering. Do I like these posters? Yes, very much. Sure they are kind of silly in a way. 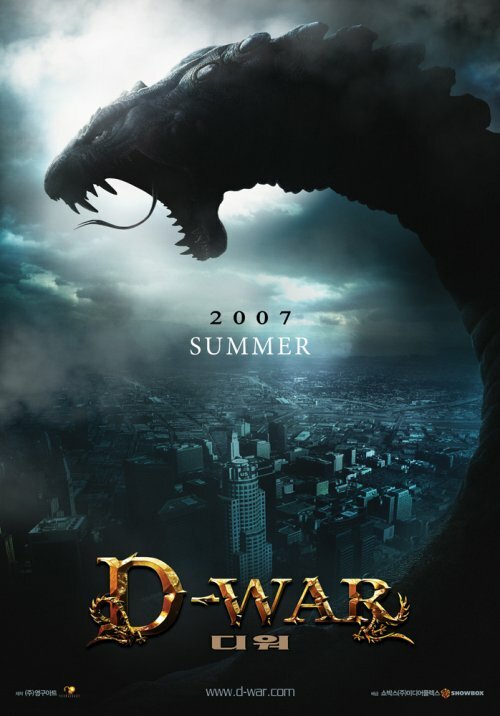 But this is a movie that has a giant serpent attacking L.A. The posters have to be a little silly. My inner child can’t help but to smile while looking at those images. Looks like over the top fun. Let’s hope that is also how the movie plays it. Of course, I was all pumped up about Godzilla (the American version) before I actually saw the movie. So take my enthusiasm about the posters with a grain of salt.